Various natural and human agents of destruction presently threaten many heritage sites throughout Canada. Even those located in some of the most remote regions of the country have not been spared. Over the past decades, for example, increases in global temperatures have accelerated the erosion and biodegradation of many cultural heritage sites in polar regions. These include ancestral sites of the Inuit and their predecessors, as well as historic polar research bases of the First International Polar Year, such as Fort Conger. Much of this destruction is due to the effects of two interrelated processes. First, the thawing of permafrost and permanent snowpack is thawing organic materials and artifacts at many archaeological sites, causing biodegeneration through microbial activity and exposure to the elements. Second, rising sea levels and the effects of large storm surges, caused by changing weather patterns and depletion of sea ice, are destroying significant numbers of coastal heritage sites through wave impacts and coastal erosion. Human activities occurring at these sites, both past and present, are also cause for concern. 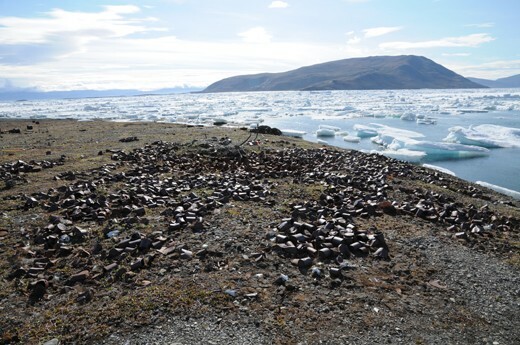 Inorganic contaminants such as mercury and arsenic, which were brought to these sites by explorers and scientists during the Heroic Age of Exploration, pose a significant risk to heritage sites like historic polar research bases. The rise of polar tourism in Antarctica and the North American Arctic also has the potential to damage heritage sites through foot traffic, vandalism to fragile buildings/structures, and the removal of surface artifacts. 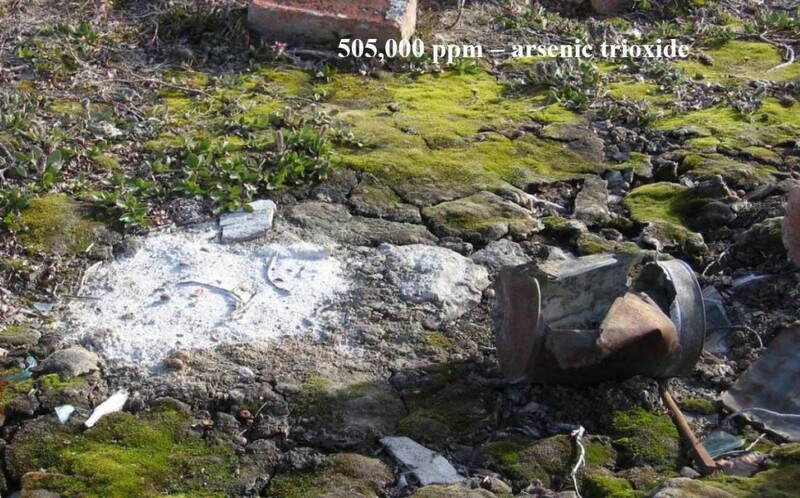 Arsenic trioxide sitting on the surface of Fort Conger. In the case of Fort Conger, ice, snow and water, accumulating in each hut’s interior, according to season, foster moss growth which, in turn, breaks down wood. Recent analysis of soils at the site by the Environmental Research Group, Royal Military College of Canada, revealed unexpectedly high levels of arsenic, copper, lead and zinc as well as some cadmium, chromium, nickel and mercury. These are believed to be largely attributable to the activities of the Lady Franklin Bay Expedition. It is therefore ironic that the scientific endeavours of the first IPY now require the science of heritage stewardship to preserve Fort Conger, a site of national and international significance.